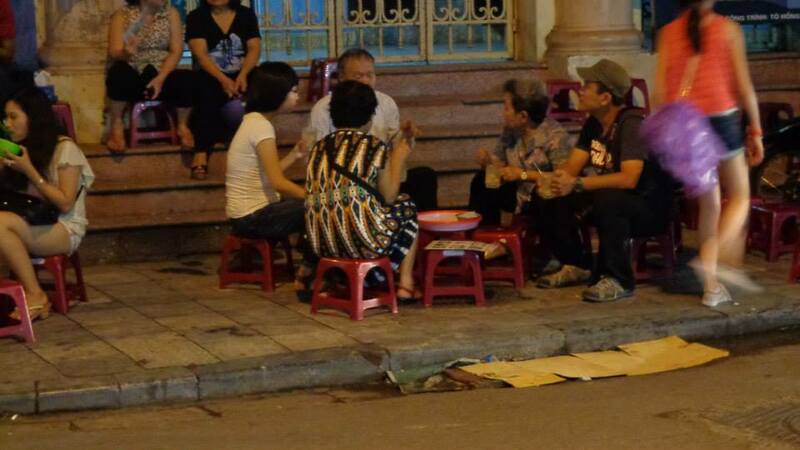 There are a lot of locals eating on the sidewalk by setting up their own tables and chairs. 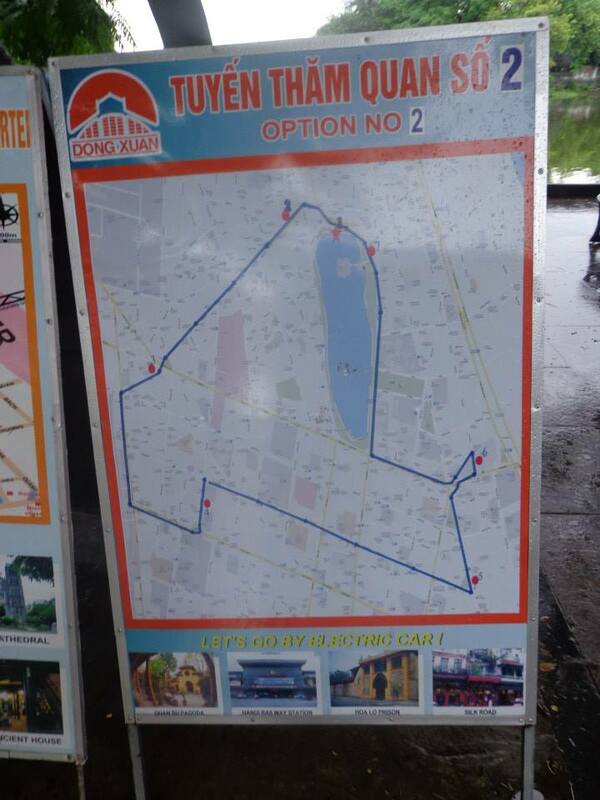 There are also numerous food stalls in every corner, reminds me of Manila and its myriad of carinderias. There are also different kinds of restaurants on the streets of Old Quarter that offer Vietnamese or Western dishes. 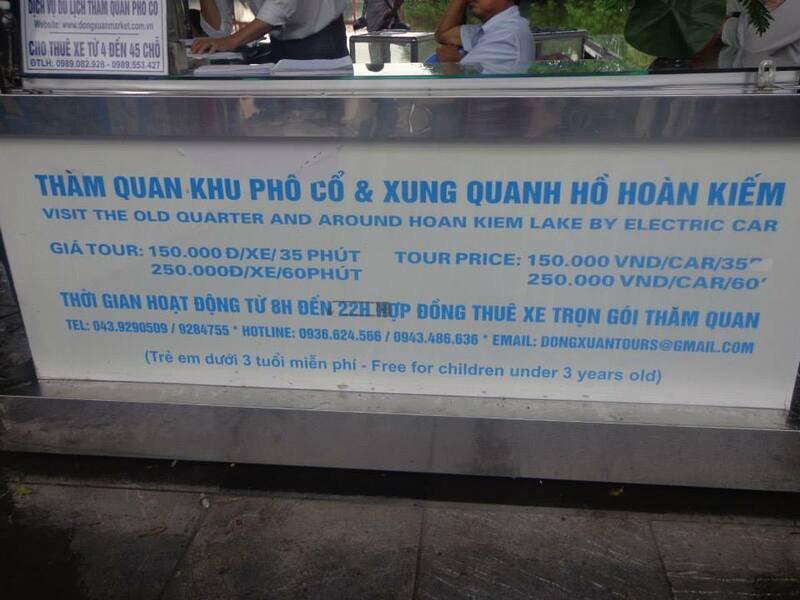 You can get a meal for $3 (60,000 VND) and up. 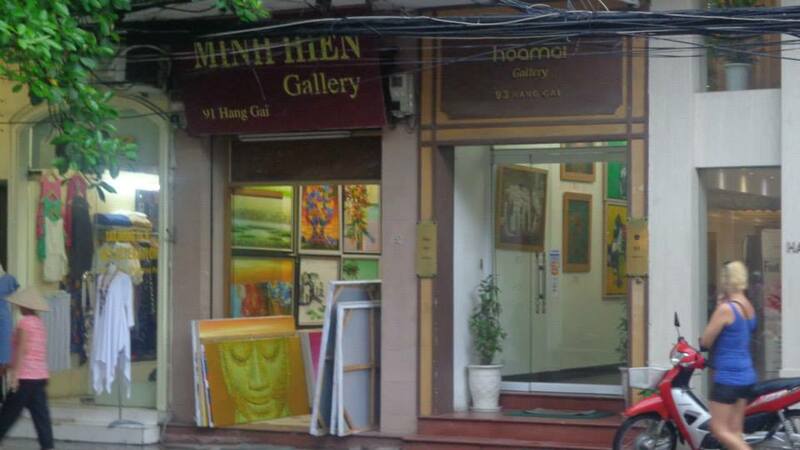 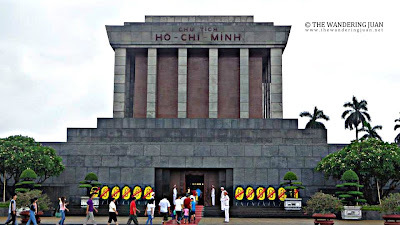 What I liked about Hanoi is the close proximity of historical and cultural monuments and buildings. 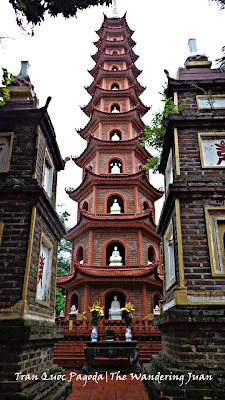 You can walk to Ho Chi Minh's Mausoleum, the Temple of Literature, and Tran Quoc Pagoda just to name a few. 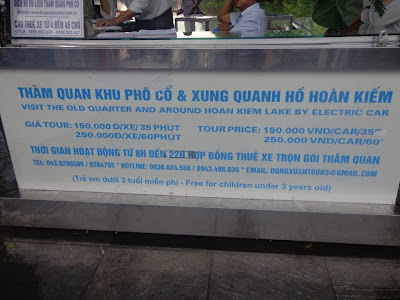 I also liked Hoan Kiem Lake. 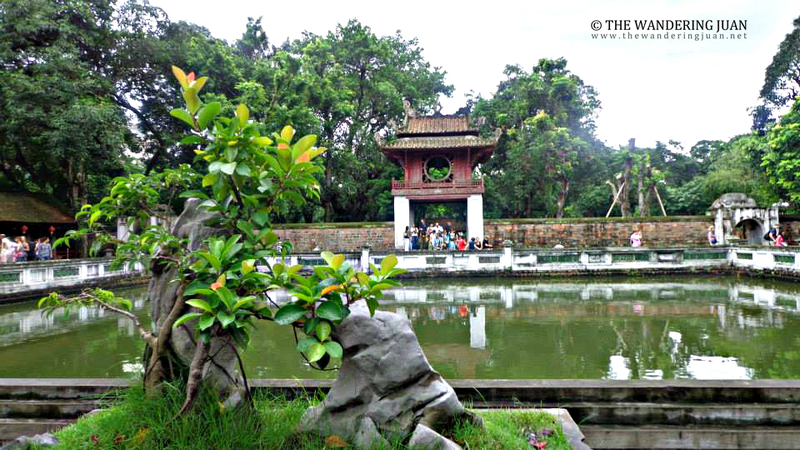 This small park and lake is a good place to just sit back and think. 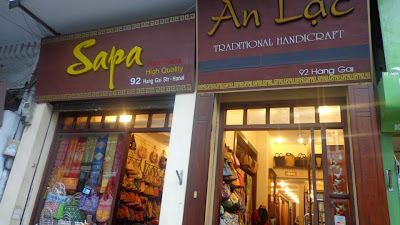 There is this place right in the heart of Old Quarter where it is just serene despite the frenetic pace of motorcycles and people all around it. 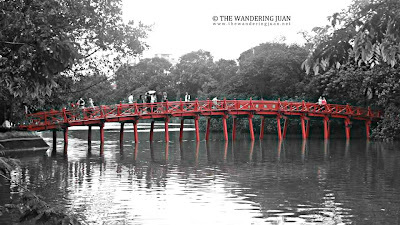 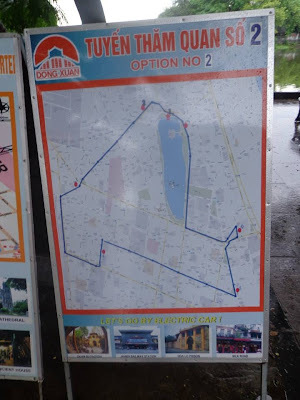 You can also just walk to Hoan Kiem Lake on a lazy day. 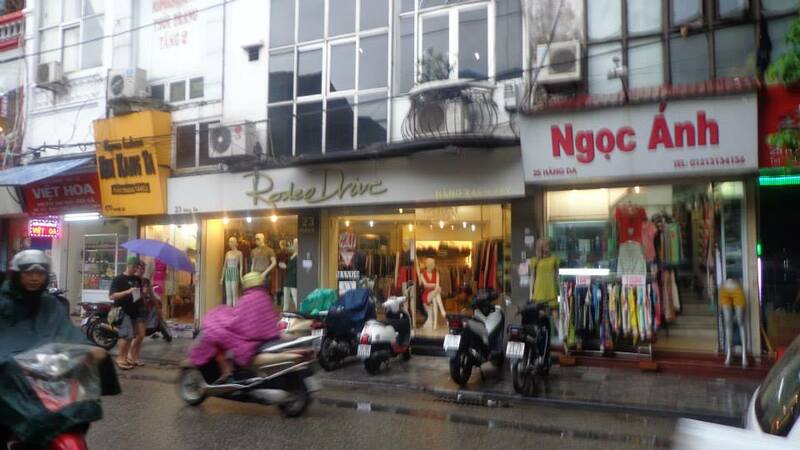 Like most Southeast Asian countries, Hanoi offers a lot of cheap goods from bags to shoes to shirts to anything under the sun. 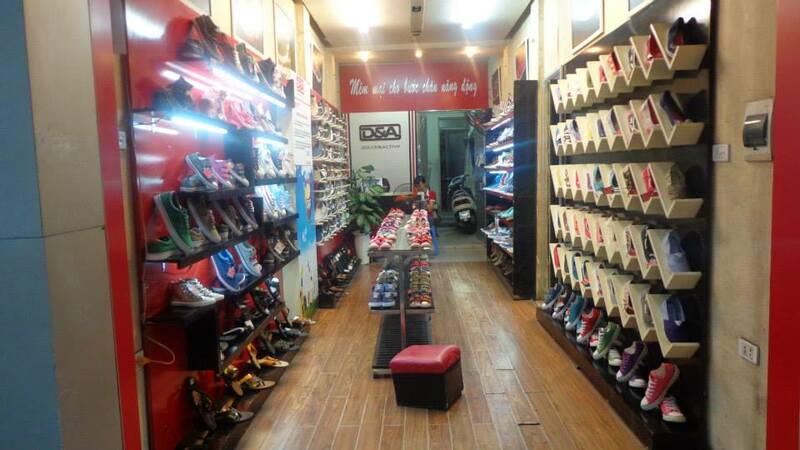 Old Quarter has plenty of SMEs and mom and pop stores that offer food, bags, shoes, and other services. 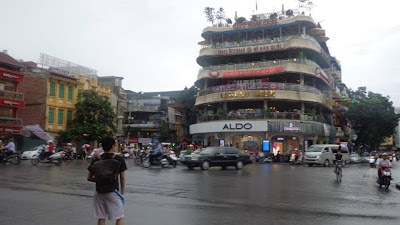 Its lack of huge commercial centers was replaced with small stores and boutique shops either by foreign brands or owned by the locals. 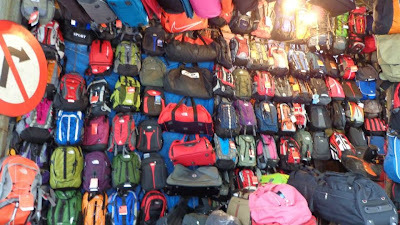 The North Face bags shown above costs $10 or 200,000 VND, again depending on how you bargain and the type of bag you want to get. I'm not really a big fan of shopping but haggling for prices is like in any country in Southeast Asia. You can buy something for around $10 and up if you are good at haggling. 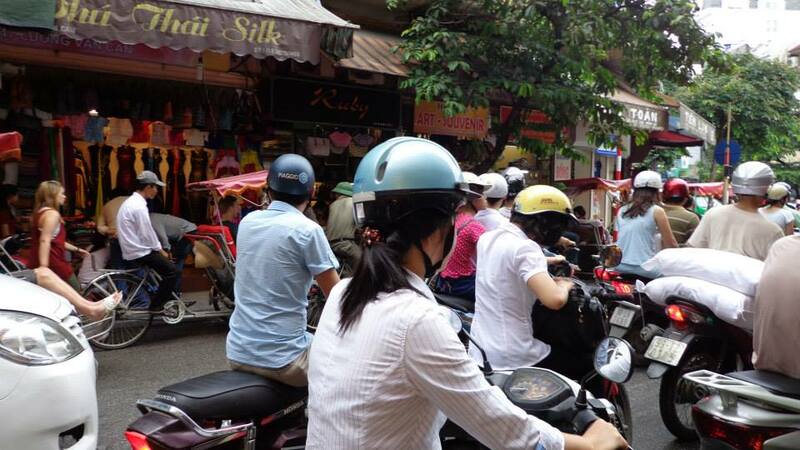 The primary mode of transportation in Hanoi is the motorbike. 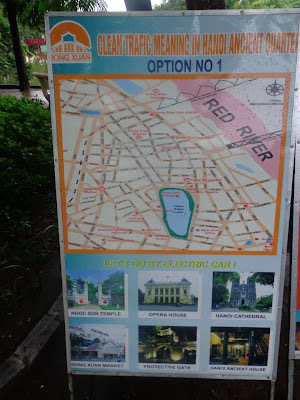 If you don't want to walk to a temple or museum, you can hire a motorbike for $2 - $5 or 40,000 - 100,000 VND depending on how far your destination is. 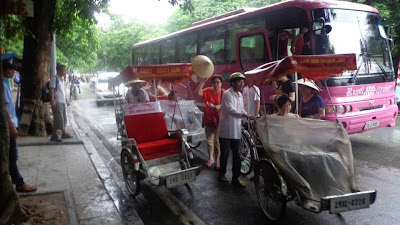 I'm not quite sure what this mode of transport is called but I saw a lot of them in Hanoi. 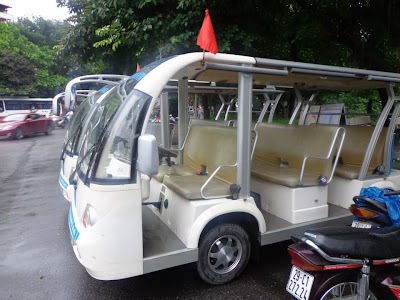 It reminded me of a wheelchair. This mode of transport was unique in its own way and costs north of 10,000 VND depending on where you are going. 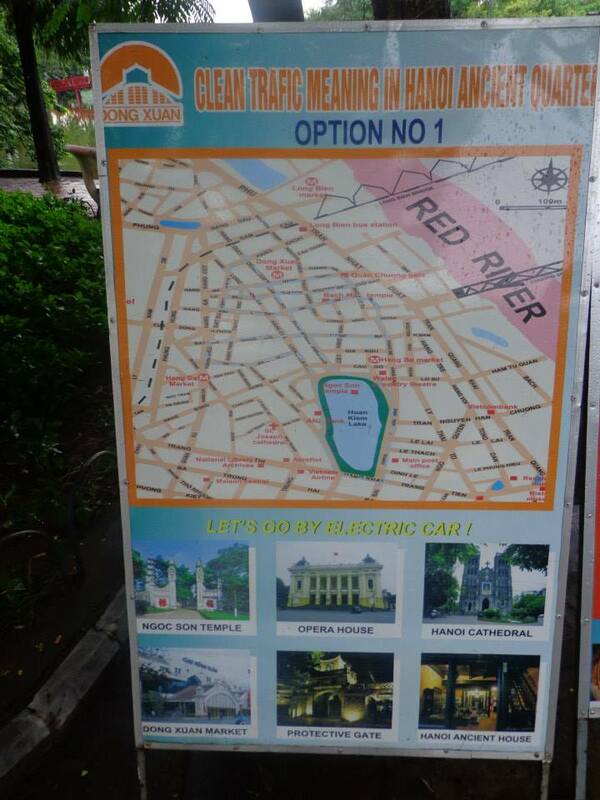 What I also liked about Hanoi are the electric car tours around the city. 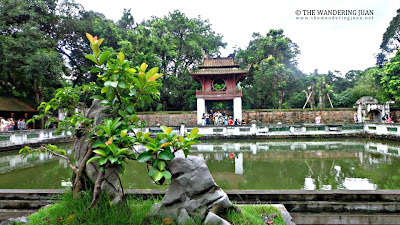 Hanoi's Old Quarter is an amalgamation of Vietnam's past, present, and future. This former French colony is evolving because of the construction happening around the city. I liked how there are a lot of SMEs in the city, and how easy it is to just walk around the city despite the frenetic pace of motorcycles all over the place. Despite the construction happening in the city, Vietnam has maintained its history and culture as seen by the maintenance of temples, museums, and cultural shows.